Here is the complete details of LTO NCR branch from contact numbers, hotline telephone land line numbers to office location address. 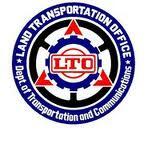 You can see here other branches of the LTO. By meaning if you still did not know. NCR means National Capital Region.